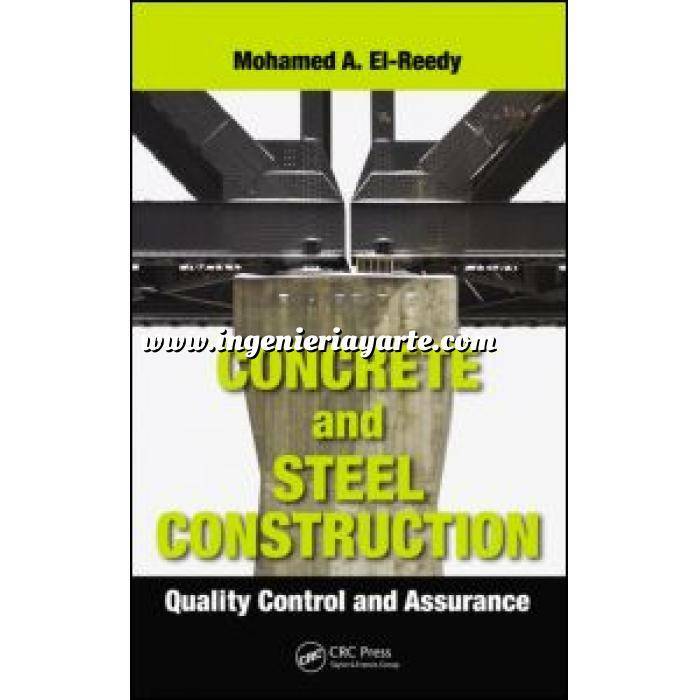 Starting with the receipt of materials and continuing all the way through to the final completion of the construction phase, Concrete and Steel Construction: Quality Control and Assurance examines all the quality control and assurance methods involving reinforced concrete and steel structures. This book explores the proper ways to achieve high-quality construction projects, and also provides a strong theoretical and practical background. It introduces information on quality techniques and quality management, and covers the principles of quality control. The book presents all of the quality control and assurance protocols and non-destructive test methods necessary for concrete and steel construction projects, including steel materials, welding and mixing, and testing. It covers welding terminology and procedures, and discusses welding standards and procedures during the fabrication process, as well as the welding codes. It also considers the total quality management system based on ISO 9001, and utilizes numerous international and industry building standards and codes. Illustrates methods for non-destructive testing of concrete and for steel welding—radiographic, ultrasonic, and penetration and other methods. Developed as a handbook for industry professionals, this book also serves as a resource for anyone who is working in construction and on non-destructive inspection testing for concrete and steel structures. Mohamed A. El-Reedy received his bachelor's degree from Cairo University in 1990, his master's degree in 1995, and his Ph.D from Cairo University in 2000. His main area of research is reliability of concrete and steel structures. Dr. El-Reedy has written numerous publications and presented many papers at local and international conferences. He has published many research papers in international technical journals and has authored four books about total quality management, quality management and quality assurance, economic management for engineering projects, and repair and protection of reinforced concrete structures.